My husband just returned from there. Today I find this in Brookvale Salvos. Not like, California. Two somewhat different shopping experiences… la la la. 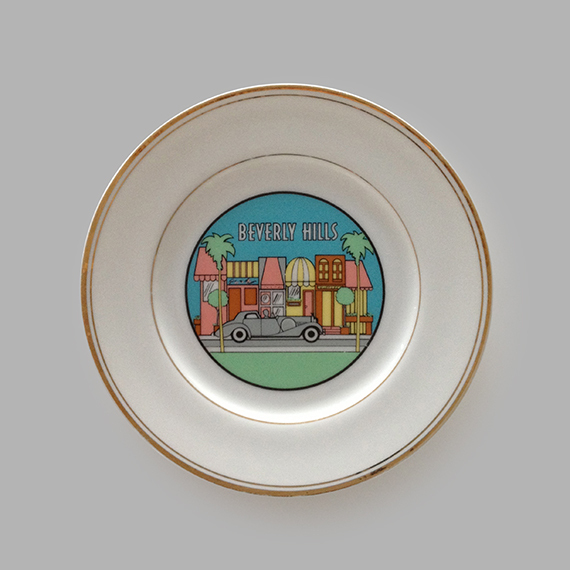 Vintage gold trim Beverly Hills souvenir plate.